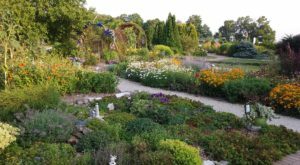 Back before Wisconsin was a state, many unofficial trails and roads have been used to connect the small towns that dotted the state’s landscape. 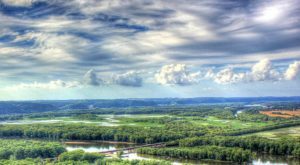 For hundreds of years, Native American trails were the most abundant in Wisconsin, linking their villages with rivers and creeks as well as leading to hunting grounds. 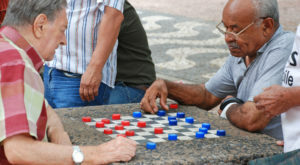 It was an extensive network connecting the major needs of society. Those trails served as the earliest road in Wisconsin. They were dirt roads that had been worn away by frequent use. As the state was looking to charter and become official and cities were formed, it became necessary to put the energy into creating actual roads that could be used frequently regardless of weather. The dirt roads would become muddy and rutted and were too difficult to travel. Not only could simple carriages not travel the roads, but farmers could not get their goods to market. The first major road constructed in the state was a long plank road that actually persists today. 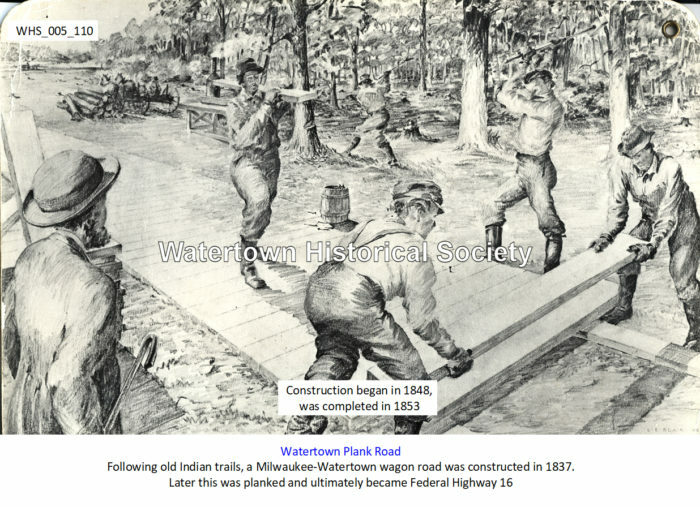 Watertown Plank Road and Hwy 16 make up much of this very first state road. According to the Watertown Historical Society, "The road mainly followed the old Madison Territorial Road. In Milwaukee, there were two forks. 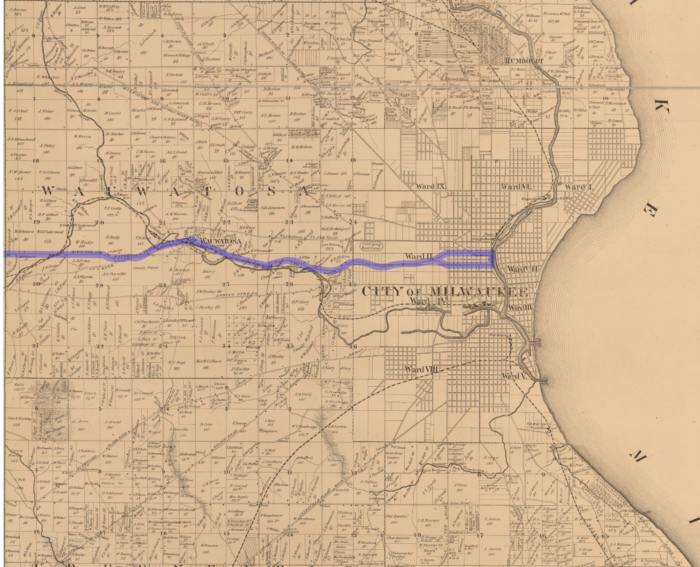 Traced on a modern day map of Milwaukee and vicinity, the north fork would begin at 12th Place and Juneau Avenue, the south fork at 11th Street and Kilbourn Avenue. The two forks would come together at what is now 15th and Highland Boulevard. The road zig-zagged to 35th Street and then followed State Street into Wauwatosa. Crossing the Menomonee River on the Harwood Avenue bridge, the plank road continued westward through Elm Grove on a route still known as the Watertown Plank road, connecting with the Bluemound Road at the Durkel house. 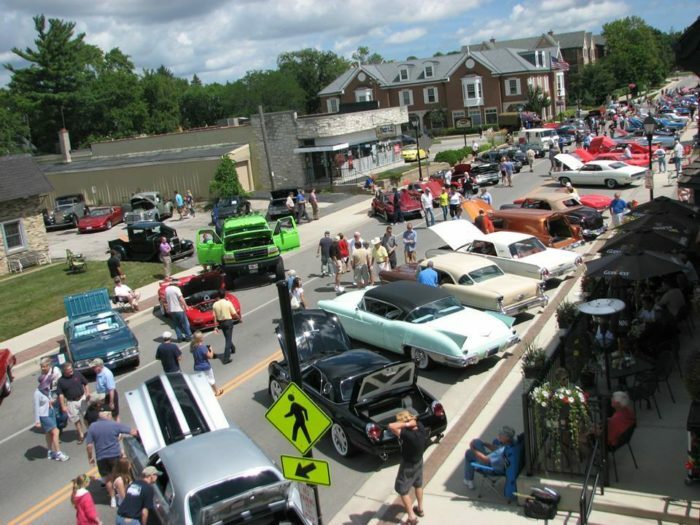 Winding along the Bluemound Road to Goerke's Corners and then northwest along County Trunk SS over the Pewaukee and Fox rivers to Pewaukee, the planked thoroughfare continued on the old U.S. Highway 16 and crossed the Oconomowoc and the Rock Rivers before entering Watertown." Plank roads were made of wood planks two inches thick and eight feet long, which were nailed to four-inch-square stringers at a 90-degree angle. Tolls were charged for traveling on the roads, usually one-cent per mile for single animal vehicles and an additional half-cent per animal hauling a vehicle. 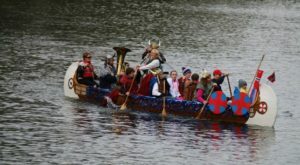 A typical drive from Milwaukee to Green Bay with a team would cost $3.78, according to the Sussex-Lisbon Area Historical Society. As avoiding the mud was a major point of these roads, they were elevated with ditches on either side to drain the water and keep mud from accumulating under and over the planks. 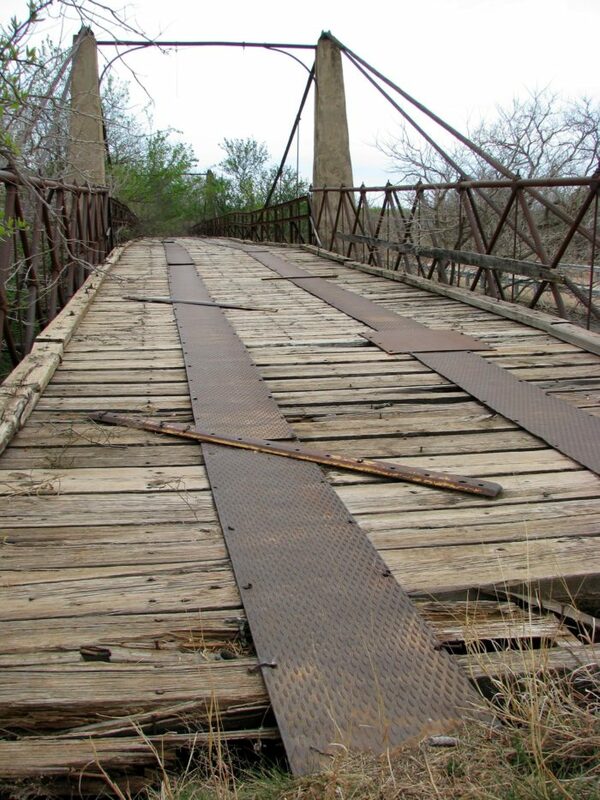 Bridges were also constructed of wood planks and they are the only remaining bits of this fascinating history that remain. 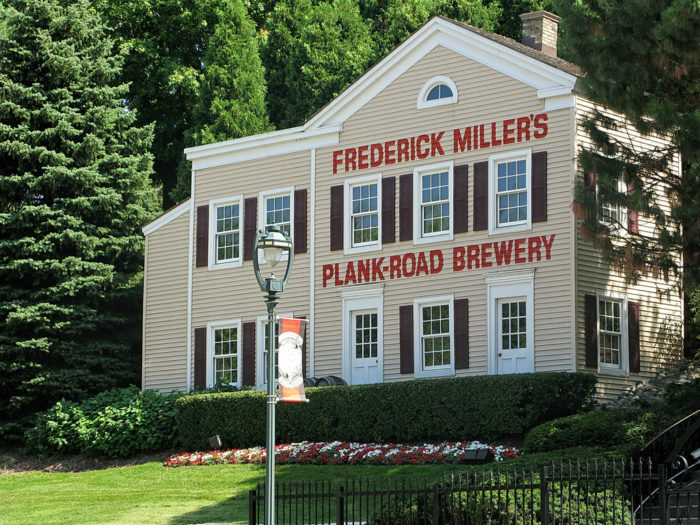 The Old Plank Road that became known as Watertown Plank Road ran right by Miller Brewery and is one of the reasons it was able to grow and flourish in Milwaukee. The road changed the way business was done in Milwaukee and beyond. 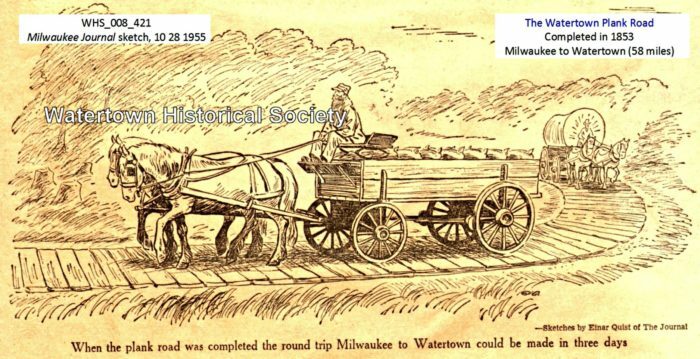 Before it was finished, a round trip from Milwaukee to Watertown was a four to six-day affair, depending on weather and the load limit was about 1,500 pounds. With the road, travel was three days round trip reliably and loads up to 3,000 pounds could be moved. The decreased time meant lowered costs. It also opened the area up for leisure travel. Tolls popped up all along the road, though they were more frequent closer to the city to take advantage of the higher traffic flow. There were toll houses all along the road that cost about $110,000 to complete at the time. One of those houses remains and was moved to the grounds of the Octagon House in Watertown. The plank road was really only viable for about 30 years before becoming dilapidated and unusable, but the path that was chosen is still one we use today. Railroads came in and took over the moving of freight, making the plank road nearly obsolete. But that doesn't mean the short history of the plank road isn't important. It was the first major commercial path in the state and it's a path we still tread today. 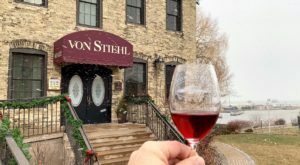 Of course, it's a trip that's down to about an hour round trip and not three days, but it's fascinating to think of the history that has traversed the very same route that still is the biggest link between Milwaukee and much of the rest of the state. 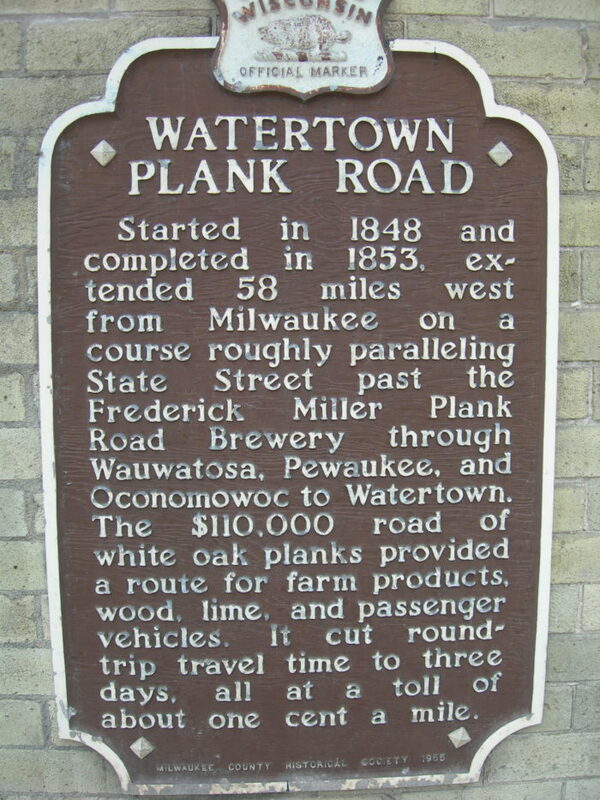 The plank road was necessary to give the city of Milwaukee access to the things that it and it's people needed. 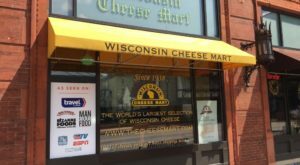 Wheat, barley, wood, lime and more were moved along the road to help build Wisconsin's biggest city and those two very important beer ingredients are on that list for a reason. Building the road was arduous and bogged down in money and political fighting, but it was a necessary part of the building of our state and it was so far ahead of its time that we still use the route chosen today. 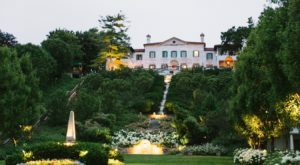 Have you driven down this famous and historical spot? 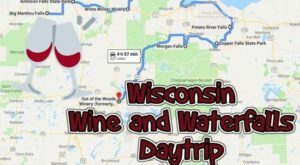 If you love state history, you should plan to take this great road trip that goes to some of the best historical sites in all of Wisconsin.